Post one of these in any space you want free of negativity. It works! You’ll be amazed! 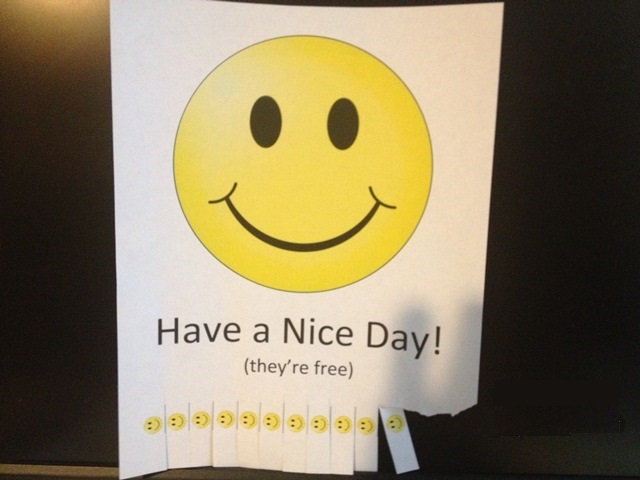 To find this page again to share or print more, Google “Have a Nice Day! (they’re free).” That’s it! Please leave comments below if you have any suggestions about good places to post these. This entry was posted on Friday, March 16th, 2012 at 12:40 pm	and is filed under community service. You can follow any responses to this entry through the RSS 2.0 feed.